Define and tidy facial hair in style! 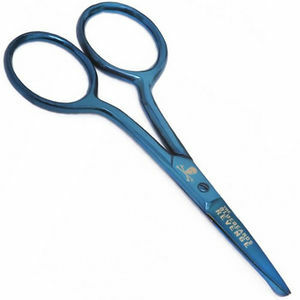 The Bluebeards Revenge Beard and Moustache Scissors are small, robust and just right for adding definition to your clients' styles, or just to keep styles maintained. Perfect for the mobile stylist but will look great in any barbers or salon, too. Available in eye-catching blue, with The Bluebeards Revenge logo front and centre for extra cool.